When it comes to garden and landscaping design, Canterbury hillside and coastal properties bring unique opportunities and challenges that need to be thoughtfully addressed in your landscape design. Christchurch hillside landscaping has many similarities to Queenstown and Wanaka with alpine conditions, extremes of hot and cold, frost, snow and long dry periods along with opportunities to use local landscape features, natural rock formations, views and the natural topography, not to mention Otago schist. 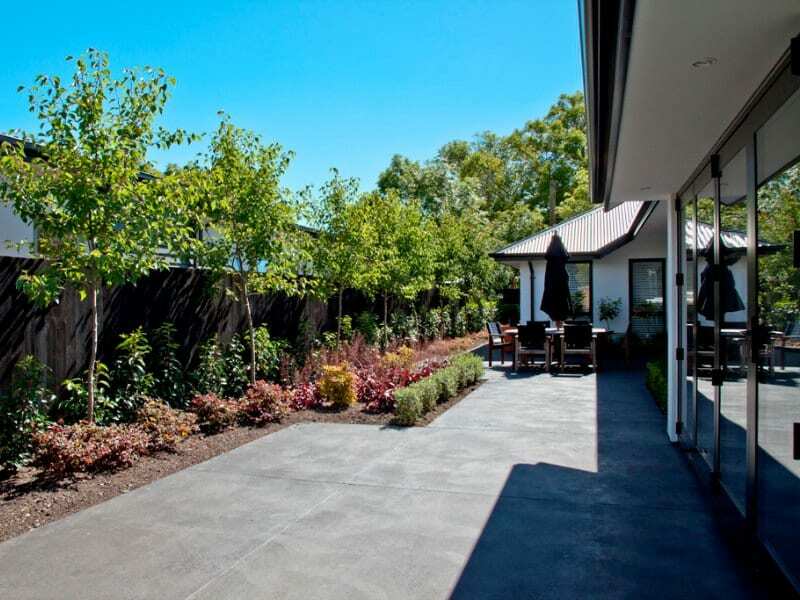 Around Christchurch, hillside and coastal suburbs provide a potentially stunning but also particularly challenging canvas for landscape design, with drought conditions in summer, winter frosts and clay-based soils. What kind of plants will suit? Will you need irrigation? What soils are present and how will that affect your planting? What about salt spray, drainage and run-off? It can seem like a daunting list, but a professional landscape architect is an expert at understanding the bigger picture of the local ecosystem, and knows just how to tackle your tricky conditions. For much of Canterbury, frost and drought tolerant plants are a must but on hillside and coastal properties we can use frost tender plants that wouldn’t survive in the lower lying suburbs, opening up a world of different plant species and cultivars for your garden landscaping. In Queenstown and Wanaka, extreme weather – hot and dry in the summer, cold in the winter – means plants must be especially hardy to survive. Native plantings work well in these conditions being already adapted to the local ecosystem. In coastal areas, choose varieties that will cope with the salty spray they will invariably endure. Canterbury’s hillside soils are generally clay-based which brings its own set of challenges. Clay soils are anaerobic (lacking in oxygen) and it can be tough to establish plants. Make sure you introduce plenty of organic compost matter and additives so plants have quality nutrients to draw on as they establish themselves. Dry soils in the Christchurch, Queenstown and Wanaka make irrigation essential in any garden landscaping design. These days, fully integrated automated systems with rain sensors to conserve water usage are the norm, but manual systems can still provide a cheaper alternative. Talk to us and we can help you find the right solution for your budget. Never neglect drainage if you’re landscaping on the hill. Field drains and nova coil drainage pipes will help ensure that water doesn’t sit on the clay, creating issues for the ecosystem. Planting solutions that include ground covers, succulents and hardy natives will also help to bind the soil and prevent erosion and run-off. Wind is inevitably a factor when you’re landscaping on the Port Hills. Sheltered areas can get very hot with direct sunlight while exposed ridges are likely to attract wind from every direction. Try to position your seating areas out of the prevailing wind, especially the nor’easter which can ruin an otherwise perfect outdoor summer evening, party or BBQ. Creating sheltered courtyards and patios will widen your plant palette a little, but make sure they can still survive the extremes of summer and winter weather. Embrace natural rock formations, the views and the natural topography. Build these into your landscape design – this is what makes hillside landscapes unique. We all love to get outdoors and see those dramatic hilltop and coastal views we’ve worked so hard to enjoy. A retaining wall can elevate and shield the patio or deck, providing a flat area for the outdoor kitchen , fire place and fire pit. Wide, terraced steps can sweep down a slope, providing an elegant transition to the pool and spa, while landscape lighting along the terraces can be used for a dramatic night-time effect. A series of terraced ‘outdoor rooms’ linked by steps of granite or incorporating natural rock formations is also a very effective solution for hillside landscaping. Your patio and spa can sit up higher to take advantage of those stunning views, while lower terraces can accommodate your pool and gardens. Find inspiration in our Gallery section. “Before we talked to the team at OuterSpace Landscapes, we’d established a nice garden on the hill above Redcliffs. It was a relatively flat section with stunning views. We had reasonable irrigation but it required quite a bit of hands on and for us to be there to operate it. We had some successful plantings and some less so, but we were struggling to find suitable plants that would add the right look and some variety and be able to cope with high winds and occasional snow. We hadn’t fully appreciated the need for drainage of the clay soils, especially on our lawns but also in some of the gardens areas – which were either too dry or waterlogged from rain in winter and irrigation in summer. 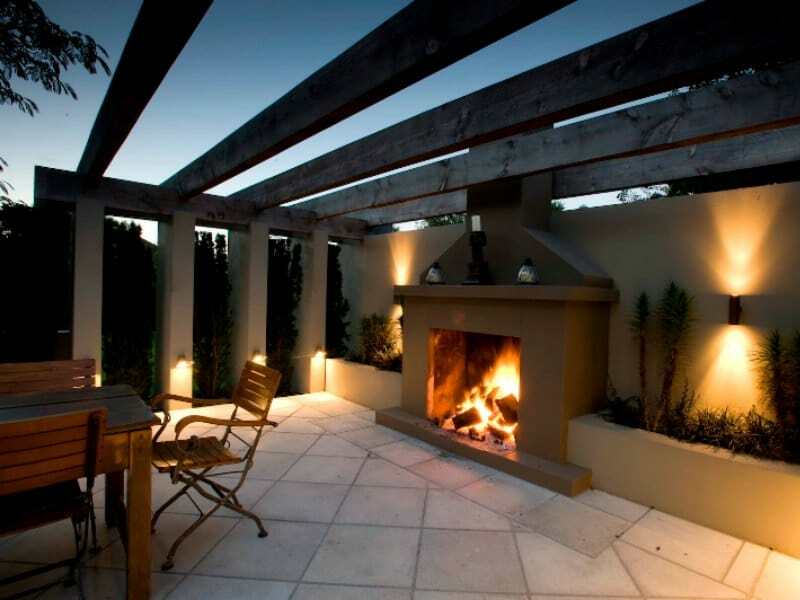 OuterSpace’s landscape design and planting ideas solved our problems and took our landscaping to the next level.” Rob, Redcliffs, Christchurch. Give us a call at OuterSpace Landscapes. We specialise in providing unique solutions for landscaping design and garden landscaping in Canterbury – Christchurch and also Queenstown and Wanaka. If you’d like to know more about landscape architecture and garden design for a Port Hills, Central Otago / Queenstown Lakes or coastal property give us a call. We landscape in Mt Pleasant, Redcliffs, Moncks Spur, Clifton Hill, Godley Head, Sumner, Scarborough, Lyttelton, Governor’s Bay, North Shore, Queenstown and Wanaka. And of course, the rest of Christchurch. Our landscape architects are trained to create a unified plan that addresses both the bigger picture and the small details of the local ecosystem. We can help with everything from design to construction. Phone 0800 100 750, contact us by email or ask us a quick question on live chat.